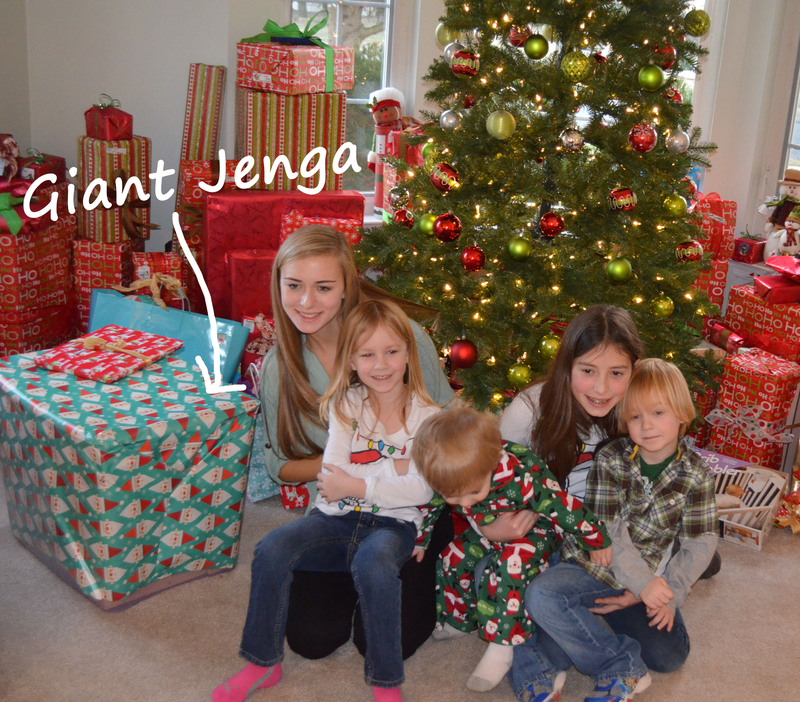 On the 3rd day of Christmas… I’m sharing the Giant Jenga sets I made for my 13-year-old nephew and my brother and sister-in-law. 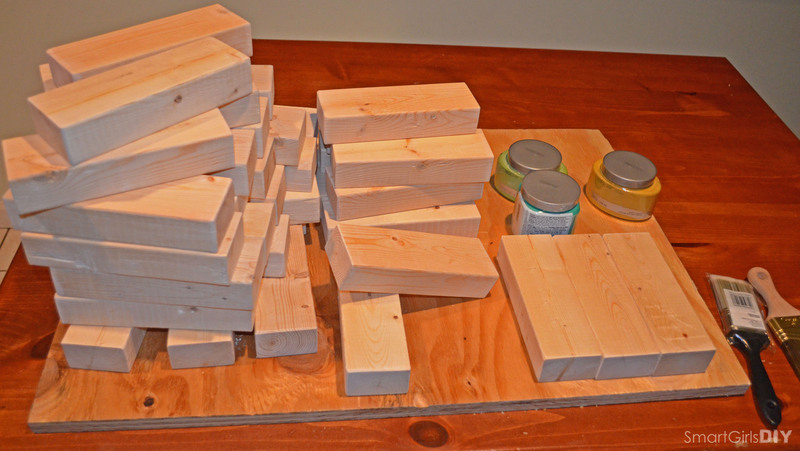 I was so frazzled trying to finish up all my DIY gifts that I didn’t take too many pictures of the Giant Jenga-like sets. 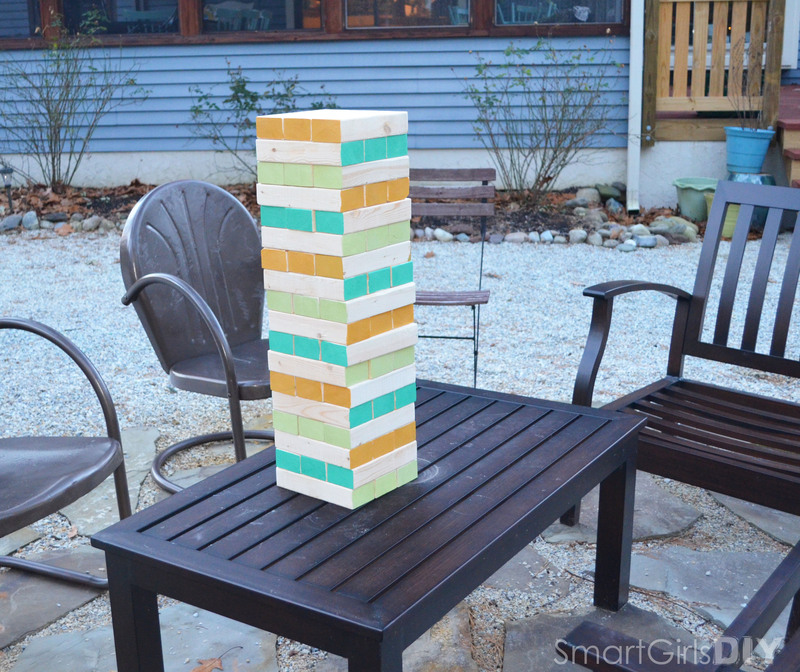 Of course neither are the real Jenga version, but I did make two very popular DIY versions. 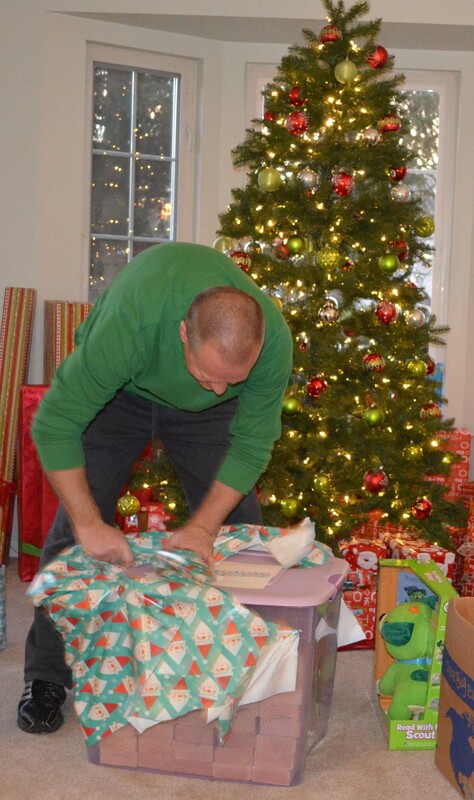 The one for my nephew was made with 2×3 lumber and the one for my bro was made with 2×4 lumber. I’m assuming both sets will be mostly used outdoors, probably in the backyard, but I hear they’re also popular at the beach or tailgating. Some people make 57, 60, 63 blocks, etc. I don’t really see the need. And boy would it get heavy to carry around! And dangerous when it falls. Please, sand off any markings/writing that came on your lumber! It would be so tacky to leave it on there. 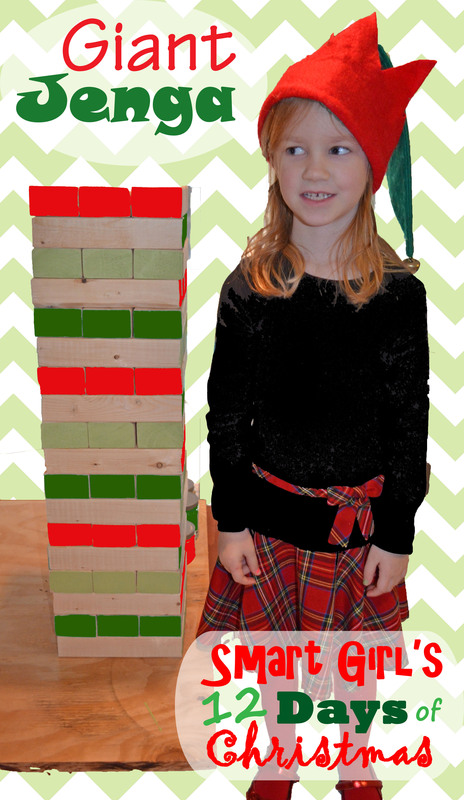 Add a twist by writing challenges on each block, ex: Do 10 jumping jacks, You can’t talk for the rest of the game, You’ve grown a mustache – Play the rest of the game with your left index finger over your lip. We actually make and sell these at http://www.bigbloxgames.com. The secret is to sand them and then sand some more. We start with 60 grit, then 80, and finish with 120. Thanks Brian. 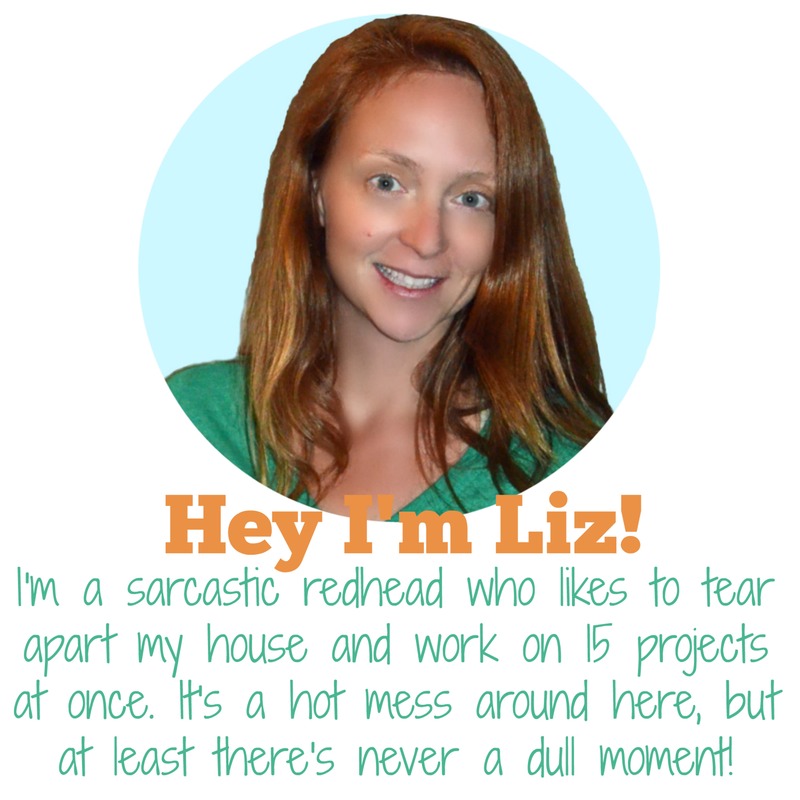 It’s always good to have an alternative for the non-DIYers out there! We just made one of these for one of the “yard games” at our rustic themed wedding. A few weeks ago. 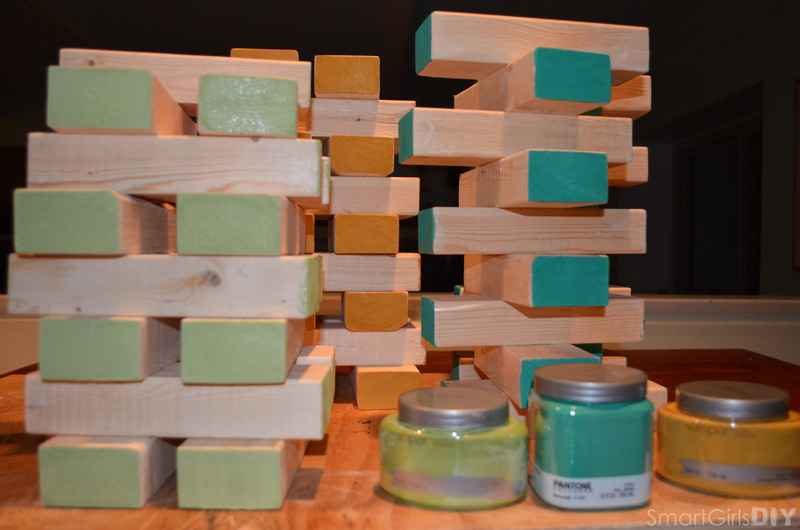 We stained the blocks three different colors and then garnished. It came out beautifully and people had a blast with it! I love the glow in the dark paint idea too! What size of plastic tote did you end up putting these in (shown in the picture)? This is awesome!! 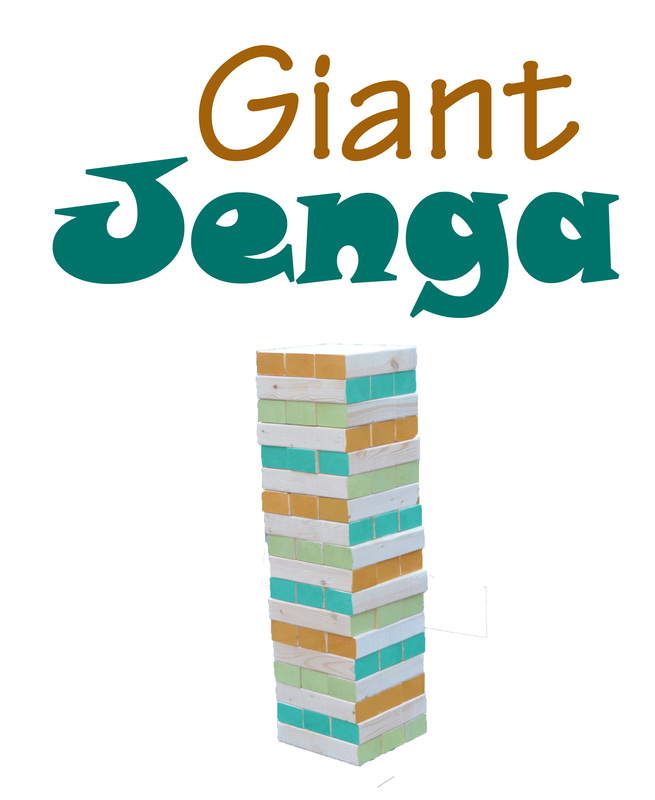 I’ve been wanting to do life size jenga for a while now and this is definitely giving me some motivation…I even have some glow in the dark paints and never would of thought of those for it! Thanks , hope your baby girl and everyone else is well!